Leslie and John Carver are a powerhouse real estate professional team! I was very fortunate to have them help me through the process of selling my condo. They took professional photos of the property and made sure the property was always ready to show. Leslie is always a straight forward person and is a person of her word. They had a great team to assist them like Lisa, Skyy and others. Thanks to them all for making it a winning team to bringing the entire process to a successful close. From start to finish, our experience with Leslie was extremely positive. We couldn’t be more pleased with how fast the process was from listing to sale to closing. We would recommend Leslie and her team to anyone needing real estate services! Very professional. Took away the stress and handled the details, both big and small. I was in town for only a few days but was able to leave feeling relaxed knowing Team Carver would take care of the sale. Leslie and her team were awesome and answered any questions we had and explained the selling process to us making selling our home so easy and vey quick. Leslie, John and Team Carver are simply the best! Leslie and the team are extremely knowledgeably and were a pleasure to work with during the entire process. Leslie is highly personable, confident and master negotiator, going the extra mile in closing the transaction when some unexpected events arose. Leslie and her team are an amazing group and handled every detail from start to finish. Finally, Leslie and her husband John are 2 of the classiest people you will ever meet. I highly recommend Leslie and Team Carver! Danielle is a Las Vegas Native and knows the market extremely well. She gives excellent advice, is very responsive, works very hard and knows her job extremely well. She has sold two of our homes and helped us to buy a new home, currently under construction. I would recommend her without reservation! Mel and I greatly appreciate your professionalism , personal attention, excellent service, and warm rapport that we received received, regarding the ongoing process involved in the sale of our home, at 7564 Avalon Bay,Las Vegas NV 89139. Thank you for your gift of the lovely wooden tray with the Team Carver insignia! Our best regards to all of you! I would highly recommend “Team Carver”. After hiring 2 other realtors to sell our house with no success, we hired Leslie. So glad we did. She sold our house as promised. I believe it was do to her superior marketing skills. Her whole team was very professional and quick to help us with any questions or concerns. At our request they had someone present when the home was shown. They also assisted us in staging the house. Altogether a very good experience. Team Carver was great to work with. I am so glad we used there services. They really have an understanding of market conditions and what is possible. The staging of the house along with the professional photographs really made the property stand out. We had a lot of traffic and multiple offers within 2 weeks of list. They kept us informed every step of the way. John came out to help with last minute staging and he met with the appraiser. They knew what to do when the first appraiser was way off from what we felt the market for our home was. Sure enough she asked us to get the second appraisal and it came back over list. What a life saver. I would not have known what to do and I don’t think there are many other realtors that would know what to do in that situation either. Thank you Team Carver! We recently sold our home within the past year and were referred to Kendall to assist us in purchasing a new home. From the start, we were impressed by her professionalism and overall knowledge of the Las Vegas market. She was always available at a moments notice to show any listings, and her responsiveness to our calls, texts, and emails was immediate. I have worked with other agents prior to using Kendall, and our experience with her stands out as far superior. I would highly recommend her if you are looking to buy or sell your home. Danielle was extremely professional and personable in helping us find and purchase our home. We would strongly recommend Danielle if you have a real estate need in the Henderson area. The best experience my husband and I have had with a real estate agent. From the first time meeting to the closing very on top of all aspects. Very through. Very personable. We realize we were not the only clients of the Carver team but it they sure made us feel like we were. The team as a whole was extremely knowledgeable, helping with everything, always eager to answer and questions. Very, very professional. You won’t find a more professional team! They bent over backwards to make my deal happen seamlessly. You will not regret having Leslie and her team handle you real estate transaction. One word is all I need to describe Kendall Towers, OUTSTANDING! Her communication, knowledge, patience and effectiveness are why she is the BEST. Her 5 STARS rating is proof. Looking forward to doing this again with Kendell as our family continues to grow. Leslie is fantastic! Very knowledgeable, quick to respond, and thorough! They helped set us up with great contractors and helped take care of anything needed during the process. Would absolutely work with her team again! We have fully enjoyed our 1st time home owners experience with Danielle Gordon, she was very helpful in helping us find our new townhouse here in Henderson NV, and we truly appreciated her expertise from the beginning to the end of our search and final purchasing of our new townhouse, she was even there for us after our closing. To us we feel she is truly a professional in what she does. I can say without hesitation, that Team Carver made my selling experience wonderful. Their understanding of the market was comprehensive. Communication was excellent through all phases of the sale, open advice and discussion were always available, and they were all prompt and professional. If I lived in the area, I would definitely use them again and have no qualms recommending them. Team Carver are wonderful to work with and went above and beyond in selling our house. Leslie John, Kendall and the entire team made our house sale stress-free. They worked with our challenging work-at-home schedule when scheduling showings and gave up invaluable tips on staging our home for the best possible showings. Highly recommend! I don’t usually give 5 star reviews. We asked Stefanie to go to all corners of Las Vegas for us. She took us to Lake Las Vegas, Summerlin, Seven Hills, and Henderson. She even stuck with us when a seller backed out. She had good advice, and helped though the entire process. Stephanie was great. We still love our house. Couldn’t have done it without her. I would highly recommend, she was very knowledgeable and professional. I believe we got the best price we could for the current market. Her staff was always available to answer any questions we had. Team Carver were excellent to work with. Very friendly and knowledgeable staff and always available to answer questions. I would definitely recommend Team Carver for any future listings. It was a pleasure working with you and your team once again. You’ve made the entire process extremely easy for us and we thank you for the excellent service and your guidance. We’ll be sure to fill out the survey below and please know we have nothing but positive feedback for you and team. Thank you again. We will be sure to recommend your services to our friends and colleagues in Las Vegas who are in the market now and in the future. I have worked with many qualified and attentive real estate agents over the course of the past 30+ years and Danielle was – by far, the very best I have ever had the fortune to represent me. To start Danielle listened very attentively to learn and understand what my desires and priorities were, and all through the house hunting process grew to fully comprehend my goals and aspirations for a home in Las Vegas. Through the entire process Danielle was very responsive and knowledgeable of the market, areas across the city, and other key resources needed to complete the home buying process (e.g. inspector, title company representatives, contractors, etc.). Danielle is without a doubt one of the Las Vegas community’s best real estate agents. Third time using Team Carver, they, and she know the market, well connected for other services, responds to questions, a very nice person aside from being a great realtor. Same for her team members. Danielle is an excellent realtor! She went above and beyond to sell my house in a short time. She helped me find this house 8 years ago, helped sell it and will work hard to help me find my next home! Could not have asked for a better realtor! Kendall knows so much about the entire Las Vegas area and was a great sounding board for us when we were trying to decide on a neighborhood. She was prompt, professional and always kept our best interests in mind when negotiating on our behalf. In addition, Kendall went the extra mile and has been a fantastic resource for us in finding vendors we can trust. I would highly recommend her services without hesitation! Kendall is an amazing real estate agent. She is very knowledgeable and was very prompt in answering any questions we had. She also took the best pictures of our home that attracted so many buyers. She was incredibly easy to work with and our closing went extremely smoothly. She also helped us find and purchase our dream home! 18 years ago we met Leslie and we listed our home and for the next month she showed us homes that matched everything we were looking for. She never gave up and we finally found the home we were looking for and closed on both houses. 3 months ago we contacted Leslie again and she did not disappoint. We have sold our home after being on the market for 2 months and closed in less than 30 days. She is an great agent and is very caring and understanding what both buyers and sellers go thru. If you need an real estate professional look no further. Kendall is the most amazing realtor! I highly suggest her for all of your real estate needs. She took her time, was patient and fun all throughout the process. And she provided great post move in support with contacts for home improvements. Great experience! Finding Kendall as a realtor was definitely a blessing. We found that Kendall not only understood our needs but someone we could fully trust. She not only found the perfect home for my daughter but she went the extra mile to keep the price within our budget. Upon our final walk through Kendall brought her professional home inspector to conduct the final inspection for us. Kendall is the best and will only use her on our next real estate transaction. The house buying process for my wife and I was an incredibly intimidating as first time home buyers. We where incredibly lucky to be introduced to Kendall and have her as our realtor. It didn’t matter the situation day or night Kendall put us first while always keeping our best interests in mind. I would recommend Kendall to anyone I know as a house is a huge investment and to have someone you can trust will ALWAYS have your best interest in mind really sets her apart from other realtors. By far the best real estate deal I have EVER done!!! Kendall Towers is the BEST!!! She was on every task to get our home sold and better yet she always responded to calls, texts and emails! Buying and selling can be so stressful she definitely was there for every step for us! Can’t wait for our next deal! We have bought and sold 3 homes over the last 10 years and Kendall was by far the best agent we have ever worked with. Her negotiation skills are second to none and she went above and beyond the call of duty to help us find and successfully purchase our dream home. Kendall truly worked hard for us and I never hesitate to refer Kendall to our friends and family. Kendall is awesome! So sweet, considerate, knowledgeable, and available when I wanted to see a potential home! She got me a great deal on my home and helped find the right company’s to do the remodels needed! I am very happy with the whole experience! Highly recommend Kendall Towers! I can’t say enough good things about Team Carver. As a first time home seller, my husband and I came into the experience with several questions. Team Carver was incredibly patient and helpful..answering every question with a thorough and speedy response. I highly, highly recommend Team Carver. Without a doubt the Best in the West, Leslie, John, Krystal and Lisa will be the only group I will trust with any of my property needs in the Las Vegas, Henderson Marketplace. They made everything so easy and stress free….. I was an absentee seller and Lisa and John made sure my property was in fantastic shape, they would always call me and give me an update, and Krystal was over the top she was always on top of the buyer, buyers agent, buyers bank, she kept me super informed on the status, Leslie was always available 24/7 she always called me right back (can you imagine that) she was awesome!!!!!! Thanks guys for selling my home in less than 50 days…. Very good service ,even though I live overseas ,the sale went quickly and with no problems, I thought that the sale was going to be hard but she had clients read to purchase and within a couple of months it was sold. Thanks also to Krystal for her help in keeping me in touch with what to do and the process. We were extremely impressed with Leslie, John, Krystal and Lisa. They helped us complete a difficult transaction and did so with total professionalism. They delivered on all promises, kept us informed, and treated us with kindness and respect. It was a pleasure to work with them and we would highly recommend them to others as an outstanding team. Leslie was the right realtor for us. Thank you for your help. Her and her team were there every step of the way. Gave us great tips on staging the house, price, and what to be prepared for. In the end we sold for asking price in 10 days! What more could you want? I couldn’t be more satisfied with Leslie and Team Carver. They go above and beyond. I was an out of state seller and I relied on them to handle more than is usually expected. They came through on every level. Leslie, John, Lisa, and Krystal handled every element – from listing, to creating an elaborate marketing campaign, to negotiating offers and closing the sale. They were simply amazing. Quick to respond to my calls and emails. Always professional and friendly. I’d work with them again in a heartbeat. Leslie Carver and her team helped us to sell our home. Leslie came to our first meeting enthusiastic and well prepared. She proposed an efficient marketing strategy and arranged for our home to be on the market in just 3 days time. Within two weeks, we had multiple offers on our home, well above asking price. I can’t say enough about Leslie and her team. I will use them in the future for my real estate needs and recommend them to anyone out there looking to buy or sell. Leslie & her team were Amazing. I would highly recommend anybody to use them to List Their home like I did! I was in Escrow in under 3 weeks & my house was located in Inspirada (Henderson). Leslie and her team were on it, and were very professional throughout the whole process. They would always answer my calls and keep me in the loop. Thank you again for making listing my home so easy! Ms. Gordon was completely honest after doing an exhaustive survey. She also made me, a novice, feel comfortable and confident. She explained everything patiently without ever “talking down ” to me. She did such a great job that she sold the house before she even got a chance to put a For Sale sign in the yard! Leslie Carver and was excellent with the sale of our propety. I especially appreciated the teamwork of Leslie, John, Lisa and Krystal who always worked together to respond quickly, resolve issues, and come up with creative approaches to do whatever it took to sell the property. Lisa was especially helpful, hardworking, resourceful, and went the extra mile consistently through the marketing and sale. Team Carver worked tirelessly to sell my home. This is the second home I have sold with them I also purchased my new home from their team. They produced a beautiful brochure, has a professional photographer take the pictures. They hosted several open house and advertised my home both on the net and in print. I was extremely satisfied with their efforts. I would highly recommend Team Carver to anyone who is either looking to sell a home or purchase a new one. I had a feeling when I called John and Leslie that this was a good decision. From that phone call everything slipped into place. They are caring and compassionate. My experience was: 1) Get the house ready 2) Show the house and 3) SOLD! It could not have been any easier than that. Leslie put my mind at ease she’s optimistic and attentive. I could not have been in better hands and my friends and family can test to that. Leslie and her team sold my house quickly. John Carver showed up during the appraisal process and was an integral part of it meeting my sale price. Questions and concerns are answered same day. I will definitely use the Carver team again and highly recommend them. Danielle has taken care of all my Real Estate needs in Las Vegas since 2003. From my personal residence to my investment properties, Danielle has always proven to be professional and very knowledgeable about the current market. In addition to her knowledge, She has also been innovative about loan opportunities and very resourceful when needed. It has always been very Easy to work with Danielle! I would recommend Danielle for any and all your Real Estate needs. Leslie and the team were all professionals who were willing to help out and make the selling process as seamless as possible; especially after 3 separate buyers, 2 who fell out! Thank you Team Carver! I and my family have worked with Leslie and her team on four different transactions. They are prompt, engaging, honest and very timely. My first property was sold in less than one day and my second in a week. They also assist with buying, renting and all needs. I would work with this team for any realty needs. The members of Team Carver at Berkshire Hathaway Home Services were very professional and knowledgeable in all aspects of the realty business. I felt very comfortable with what they did for me and ended up with the home I was looking for. Leslie & John Carver were especially helpful in smoothing out all the details to make the purchase as easy as possible. My realty agent, Stefanie Jablonski, looked after my interests with great detail and care. I would gladly recommend this company and their staff to anyone wishing to buy or sell a home in the Las Vegas area. I would recommend Team Carver to my friends, loved ones, and anyone else that needs a realtor’s service. I was blown away by their customer service and professionalism. My fiancé and I bought the house of dreams in a very little amount of time while the housing market was crazy competitive for our price range. SIMPLY AMAZING ! ! ! Leslie is great! Very professional in every way. She is accessible when you need her for any information. If you leave a message she gets back to you quickly. Always eager to help her clients. Her staff is top notch as well. She is well connected in her field. I would highly recommend her to anyone buying or selling a house. She gets 5 out of 5 Stars from me! I would like to highly recommend John & Leslie Carver of Team Carver. Over the last 15 years they have sold 4 of my personal residences. Their professionalism & integrity is unparalleled. They took into account my personal circumstances & situation and provided me the very best outcome I could have hoped for each time. My last sale in 2016 after they helped me stage my home for sale literally sold to the 3rd person through the door to view it & within 48 hours of listing it. The home virtually sold for my list price which I thought was a bit on the high side actually, unbelievable!! !—-Team Carver is the best & top notch in my book! My first experience in the selling of real estate and being represented by Ms. Carter was by far a great experience. She asked the right questions, and kept me informed from start to finish. Ms. Carver and Team Carver are the go to team for any of your real estate needs. We were really picky buyers looking for that “perfect” home. Danielle displayed an incredible amount of patience and understanding trying to find it for us. Just guessing, but I think most other Realtors might have given up – but not Danielle. She has the perfect mix of pleasing personality, hard work ethic, and is very knowledgeable of the Las Vegas/Henderson market. She also did an excellent job negotiating the best price possible for us. We continued with some renovation projects afterwards and Danielle took the time to stop by on several occasions offering some valuable suggestions on upgrades. Bottom line: we couldn’t be happier with the house and location, all made possible by Danielle’s dedication and perseverance. She has our strongest recommendation. We used Danielle as our buying agent to purchase a new home in Las Vegas. We were not from the area so having good local knowledge of the market was essential to making a sound purchase. Daniel is extremely knowledgeable about the market and did a great job finding us the perfect home. Her communication and follow-up skills were excellent and to top it off shes a really nice person to deal with. I wholeheartedly recommend Daniel to anyone looking for property in Las Vegas! Leslie has been absolutely wonderful! We’re stationed in Sicily, but it has been a seamless sale. She and her team handled everything and were kind and professional every step of the way. We relied on them completely and they gave us every reason to trust them. Leslie sold our home about a week after listing and got us very close to the asking price. What a great experience she and the team gave us!! Leslie and her husband always quick to response and every time there is a show on the house, they always go there to make sure the house is tidy and light are all on. Before the listing they make sure the house staging is good and gave me a lot suggestion. For dome reason I miss a welcome mat in my front door and they offer me a free one to put at the front door. They also do a lot research before the listing and Aldo did a lot of marketing on my house. Highly recommend Leslie for her excellent professional service. Danielle provided a deep understanding of what we were looking for very quickly. She was able to provide a number of great choices for us to consider and was able to weed out houses that would not be what we wanted in a home. Extremely professional, easy to communicate and a pleasure to work with. We have had past realtors where we ended up feeling they were overpaid or should not be paid when we got to the end. With Danielle however, we never felt anything other than thankful we chose her to help us find our home. In the end, we ended up purchasing a great home that was exactly what we were looking for. Two years later and we are still happy with our experience with Danielle. I would recommend hiring her for your real estate needs. She has been and continues to be a great broker for us. I’ve used Danielle twice in the last 3 years to relocate my family of four. 1st into a rental property & then into our current residence that we purchased. Both times I couldn’t have been happier with how she went about hr job, Very knowledgeable, accommodating to my hectic schedule when showing a home, fantastic demeanor, & really looked out for what was best for my family—not just their to get a commission that’s for sure, she truly cares about her clients. In closing, I very strongly & highly recommend Danielle! It was great to work with Danielle. She was always available and immediately responsive. I was buying from out-of-state and reliable heavily on her knowledge of the local market and vendors. Leslie sold my moms house about 10 years ago . It was such an amazing experience I knew I had to use her to sell mine and my recently departed mom’s as well. Leslie and here entire team are so professional, always on top of things and so very pleasant to work with. They are so skilled and knowledgeable. From the minute they are on board they jump into action and exceed expectations of what needs to be done. They sold my house and my moms in 6 weeks. I highly recommend Leslie and here team. Team Carver’s strengths include experience, knowledge and communications. Team members guide you every step of the way through the sales process pulling from their extensive experience in the real estate business. They have worked with every type of client, whether local, national or international, and whether that client is looking for a permanent home or second home. Their constant communication with you reassures that every detail is taken care of. Their team approach offers you a seamless line of communication, day or night, to respond to any of your questions or concerns. She was great to work with. I would not hesitate to use her again. She cared about what we were looking for in a home and our location. Very helpful!!! I have worked with Danielle Gordon on 4 personal real estate transactions. She is an excellent communicator and negotiator. I would highly recommend her to anyone in need of a Realtor. Danielle was able to negotiate an aggressive price and timeline for our closing that met my family’s needs. Danielle helped us sell my parents house and also found us our forever home of our dreams. Danielle is extremely knowledgeable and responsive and I would recommend her to everyone. Danielle Gordon was our seller and buyer back in 2006. Danielle sold our house in a timely manner and found us a new one in the best neighborhood. Danielle is excellent with communicating with all parties and stays on top of everything. Nothing absolutely nothing fell thru the cracks. She was extremely professional and was always available. I would highly recommend Danielle Gordon for your next sale and / or purchase of your home. Danielle is a pro! She is very responsive, knows the market extremely well and is able to work with other Realtors in a fast and efficient way. She found us a perfect house. We looked for 1 1/2 years and Danielle was with us the entire time. Very knowledgeable, professional, organized and worked great with us coming in from out of state until we found our dream home. Would absolutely recommend her to use for your search in the Las Vegas and surrounding areas. Leslie provided me with very accurate data on home sales and listings in my neighborhood. She asked about my desired timeline for selling the home. By taking her advice on pricing the home, staging my furniture, and with the wonderful photos of the home that her husband took, my home attracted a lot of attention and sold within two weeks. She and her team were also a lifesaver when there were some last minute repairs and a dishwasher installation needed while I was away in California. Although our selling experience had some challenges Leslie and Team Carver did an excellent job communicating, resolving those issues which resulted in the sale of our property very near our listed price!!! I would highly recommend Leslie and Team Carver when buying or selling your home! Leslie was extremely knowledgeable of the Anthem market and helped us to price the house right. She kept us well informed throughout and we received quick and meaningful feedback from house showings. This, along with a beautiful photo and written narrative of the house, resulted in a quick and turmoil-free sale. We had a previous positive experience with Team Carver on an earlier house purchase making the selection of them to sell this house an easy choice. They have our highest recommendation. Leslie gave us realistic expectations and good advice for a clean sale, reasonable price of sale. Her team worked well and we received weekly updates on the progress of our marketing efforts. The Team Carver was great on follow up on the showings and during the period with considerations and negotiations of offer stuff received Leslie was forthright with her sound advice. Final decisions were ours in full. When a deal was made, we were still in great hands through the escrow process, all went well as result. Leslie gave us realistic expectations and good advice for a clean sale, reasonable price of sale. Her team worked well and we received weekly We worked with team Carver especially Kendall who used her local knowledge and expertise to find us a home in our specific area, she was extremely professional, knowledgeable and helpful, we can’t say enough about her she made sure all our needs were met and worked diligently to make sure the house became ours. Having such a good team working on our behalf made finding and buying a home and not just a house a pleasant enjoyable experience. Excellent communication, great staff, easy to talk to. She described each step of process in detail and she or her staff members kept in communication until it was concluded. quick response to e-mails and phone calls if not immediately available. I am living in Ecuador which would be a challenge to anyone else. The property that was for sale, I thought would sell at half the price. I can still not believe that there were actually so many offers that the price went up after each showing. The entire experience was simply amazing. Since I was not in the country to do anything myself, the Carver Team actually made sure the person that was renting was happy and the property was in the best condition for showing the property to potential buyers. I would recommend the Carver Team to anyone selling or buying a property. Leslie was very knowledgeable about the sales market for our home and she was able to guide us through the processes to sell our home in record time. I was impressed with her prompt response to our needs, wants and realities. Team Carver represented us in the purchase and sale of our home. They are committed to their clients and represented us in a professional but personal way. Las Vegas is an ever growing environment and the markets change rapidly and as a buyer or seller you want to be on their team. Team Carver has an exceptional staff that is always accessible and responsive to your needs. We had a rental property a few years ago that dramatically fell in value. Similar stories are very common for such owners in Las Vegas who bought around 2006. After struggling to hold onto the property, we were forced into a short sale. Leslie knew the market and KNEW how the short-sale financial system worked. She became my liaison between the bank and me, along with trying to market the home. Her office staff is responsive, knowledgeable and competent. After the initial discussions, they handled much of the day-to-day, but always treated me as if I was important. This was a difficult experience for my wife and me. Leslie and her team made it much easier to get through. Team Carver was the definition of “profession excellence”! From the early stages of just doing a market analysis to closing on the sale of my property, I found everyone to be knowledgeable, helpful, and very available! I am very pleased with the level of attention and service with Leslie and John Carver and their staff! We got the team carver real estate company from looking them up as one of Dave Ramsey’s ELPs. They were honest and told us what we could expect from the sale of our condo in Las Vegas. Since it was less than we owed, they advised us to wait until the market increased in value. They provided comparable’s to substantiate their evaluation. Leslie is the best real estate agent I have ever dealt with. All calls are returned timely. Any information I needed was corresponded to me immediately . She is the best. Leslie sold us our home more than 17 years ago, and she has maintained a friendship with us ever since. She has answered questions for us over then years, did research for us, and keeps us posted to possible new homes we’d be interested in buying. She has always been professional, thoughtful and accurate in her dealings with us. I live in Texas and needed to sell our Las Vegas home. Team Carver made the process effortless. From going out to the house which we heard had been left unlocked by a former tenant (on a Friday evening with no questions asked – and the securing the home and calling me), to getting every detail taken care of: repairs, cleaning, home warranty reimbursements, paperwork….I was surprised every day by their efficiently, friendliness, professionalism and knowledge. The house was so beautiful by the time we got it on the market that we got three offers on the first day! I truly felt like I was their most important client. Thank you to everyone on Team Carver. You all are amazing! I purchased my home through Leslie Carver’s Company. Leslie is very conscientious of her customer’s needs. It’s not always just about the sale. She will advise you on what she feels the customers best options are in their situation. Her expertise in short sale negotiating is next to none. She is a caring professional. Leslie and John Carver are unbelievable sales people they listed our home April 4 and sold it as of the 23rd and that is when we had cash in hand for more than asking. John takes amazing pictures of your place and you cannot imagine how much better it can look. The team at Team Carver specifically Mahogany and Desiree are very easy to talk to and are very patient. 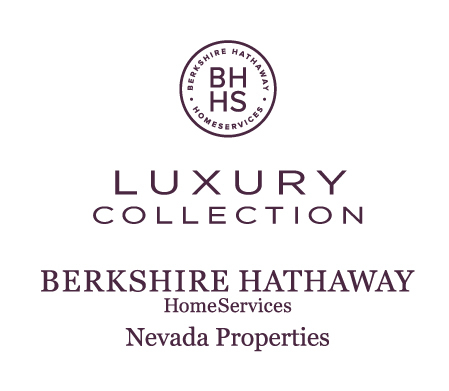 If you need agents that KNOW their business call Leslie and John Carver at Berkshire Hathaway in Henderson Nevada. Leslie has been there for me over 15 years and several real estate transactions. She is a true professional and she takes the worry out of stressful situations. She has nevr let me down. She is simply the best. From the moment the Carver’s walked into my home I knew they would be the team that would sell my home. They were more friend than Realtor and they were behind me every step of the way with guidance and patience. I couldn’t have made a better choice and would do it again, a million times over. Thank you! Working with all of you at Team Carver has been such a pleasure. We have looked, bought and sold with your team and the experience could not have been better. We thank you for taking such care with our transactions and being so quick to respond to any questions. Just want to say Thank You so much to Team Carver!!! Your team did an outstanding job in selling my home. You worked tirelessly in getting the home sold even though it was a situation that was not the most desirable. Having to deal with a couple going thru a divorce and having to short sell the house, I am sure this put you in a very uncomfortable position. Through it all, you continued to be professional, understanding, and you never gave up. You continued to persevere even when I was almost ready to give up. You continued to encourage me reassuring me that you would not give up and I really appreciate you for that. Words cannot express how you and your Team made me feel during this rough period in my life. You made me feel like family and I am so grateful to you. Team Carver sold our house in one day! They were incredibly responsive to our questions and helpful through the entire process. We highly recommend Team Carver for your real estate needs. It’s difficult to say enough about how fantastic I think you & Leslie have been in helping me. Just know that I gave your cards to all my neighbors before I left the house on Milvio, and will continue to let everyone I meet, know who the best Realtors in Las Vegas are. Team Carver has been crucial to help us with 3 transactions including navigating the confusing process of selling our short sale. They communicate quickly and their office staff is thorough and efficient. We knew we were in great hands and we greatly appreciate everything they have done for us over the years. This is the second time I have had the privilege of working with the wonderful folks at the Carver team. Everyone on this team is top notch and I could not be happier with the results from either the sale or the purchase. I would definitely recommend this team and give them all 5 stars! Our experience with Team Carver was wonderful. The team anticipated every move along the way and had us ready ahead of the curve for each phase of the selling process. Team Carver really handled our sale like the true pros they are! Desiree was great. Every communication, she responded, she kept me in the loop and she had me ready so that nothing felt like a surprise. You listed and sold our property in a week and the close was seamless. Heather is a great asset to your office she really knows how to get things done in a very efficient manner and has the best kind attitude. Thank you to all your team for all your help. We will be using your services again in the near future. We can’t say enough good things about the experience we had with Team Carver. As an out of state client, we trusted them every step of the way and they never let us down. From listing to close, we had no doubts that Team Carver would meet our real estate goals! We appreciated the broad customer based reached by the Carver team via all applicable websites. We did sell our home to someone from out of state, so it works! The photographs of our home were beautiful and brought in potential customers from the flyers to the walk-through on the Carver website. I must also add we really appreciated Heather of the Carver team who was always reachable and had answers to our queries or got right back to us with an answer. Thank you very much again for all you’ve done for us. Our house was sold very quickly thanks to your nice arrangement. We really appreciate your help throughout the process and will strongly recommend you/Leslie/Team Carver to anybody who want to buy/sell a house in Las Vegas. I cannot stop praising “Team Carver” for the way they handled the sale of our home. Even with the slower economy in the area “Team Carver” was able to find not only one buyer, but two which created a bidding war for our home. I’d heard of these things happening, but never dreamed we would be in such a situation. After our home had been on the market several months, we started to lose faith when Leslie Carver suggested we lower our asking price. Reluctantly we did and that created the war! The first prospective buyer made an offer way below our asking price, then the second prospective buyer came in with an offer ABOVE our asking price! We couldn’t ask for anything more! The sale went so smoothly! We sold our beautiful home, and a lovely couple purchased it…..As I said, it couldn’t have gone more smoothly. We highly recommend “Team Carver” to anyone selling their home. Leslie, you were amazing and Heather, thank you for your expert assistance. Great service. zero out of pocket at close. highly recommend. I highly recommend to hire the Carver Team when considering selling or buying a house! They did a great job marketing my house that was for sale and because of their hard work, my house sold very quick. Even though selling your house can be a little stressful and nerve racking, Leslie did a great job answering all of my questions and she was very good with assuring me that we were taking the correct steps. John did a great job taking pictures of the house and he was so detail oriented when taking the pictures because he knew how important it was! Great job and thank you again for everything you have done for me. I appreciate it!!! Please use the Team Carver!! We only the house listed a few days and there were two cash offers. We closed in less than a month. The handling of the transaction was fast and to the point. We sincerely appreciated the fine service. When it was time to purchase my first home four years ago, they were helpful and got me a great deal in a good neighborhood. Which isn’t always easy in Las Vegas, as the socioeconomic diversity is so spread out that good and bad neighborhoods are often only blocks away from each other. Recently, when I needed to sell that home, I enlisted their help again and received an offer on my house the first day it was listed! They knew exactly what to list my home at to get the best offers. Since I am now out of state, their attention to detail and knowledge of Nevada real estate law was also indispensable, and the open line of communication with them was a big plus because of time zone differences. Having dealt with other agencies in Las Vegas, I can say without a doubt that Leslie and John are real diamonds in the rough. They have the most class and integrity in the entire valley, and I wouldn’t trust my deals with anyone else. I am glad we have smoothly closed my property. Stefanie Jablonski was showing a lot of properties in Las Vegas for my wife. we made decision to buy this property. During negotiation and transaction, she is working very hard for this property transaction. She is a reliable and a countable realtor. You should proud of having her to work for you. Kendall Towers was a priceless asset in my home buying experience! The road to buying a home in the Vegas Valley was a filled with huge potholes. Having an experienced buyer’s agent help me to navigate the rapidly changing market is the only thing that kept me “in the game”. I can’t find the words to express how happy I am with my new home- it’s everything on my wish list and MORE. THANK YOU KENDALL & The Carver Team! There are no words to describe how elated we are to have Team Carver as our brokers. The caring as well as their professionalism has made our transition that much easier. They truly treat you as family and we could’nt chosen anyone better. I want to take this opportunity to thank you, Leslie and your team for all the help and support you gave Maria and me during the entire sales process of our house. You should be very proud to have such a dedicated professional staff working for you. I especially want to commend Desiree for all her encouragement and understanding during this long and sometimes difficult process. Please relay our sincere gratitude to your staff. 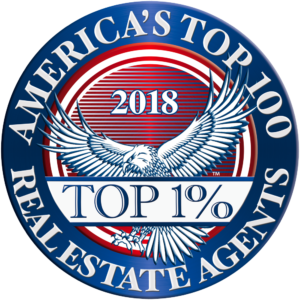 Having had a handful of real estate transactions in the past decade both as an owner and an investor, I would rank Team Carver #1 in their professionalism in handling the sale of my previous residence. The team is so outstanding that I would recommend it to anyone and will leverage their services for years to come. I found team Carver by accident. My mother met Leslie in a parking lot and after my daughters car was stolen I decided to move. Not to mention I hated the place I was living in. Leslie came out on her birthday to meet with me and list the home. John placed it on MLS and in 16 hours it was sold at list price! There have been no surprises with this team. The team has a professional presentation and explained even the laws to me. My buying agent is Stefanie and she is fabulous as well. Kind patient and open and understood that finding a home was a real process. We looked at so many properties, and she understood all of my issues! With the market in sellers’ mode we really had to be proactive and she was honest and worked long hours for me. ther, stayed calm in all of my angst and was a God send when the title company made a very large mistake! I will be endorsing this team to everyone that I know and will use them in the future when it is time. Thank you Team Carver for an outstanding job listing and selling our Henderson property. Although, it was not a high commission sale, this did not stop the team from providing us professional service. Leslie, Stephanie, Shelby and Heather worked together to make the entire selling experience a pleasure. Team Carver was excellent to work with when selling our house. Living out of town we thought getting the home sold would be very time consuming and difficult. That was not the case. They helped coordinate everything to get the home ready for sale. Once the house was on the market, we quickly received an offer. From start to finish the transaction took little more than a month. We are so impressed with our experience! I want to thank everyone at Team Carver on the short sale of my home. The banks did not make it easy but Leslie and her team never gave up and I will always be thankful for all they did. I was kept informed every step of the way and always had a return email or phone call when I had any question. And I had a lot of them. They never gave up, even when I didn’t think it would ever get finished, but we did and all of this was done as I had relocated to another state. I would highly recommend Leslie Carver and her team. Our home sold in one day! We are totally satisfied with the services provided by Team Carver. We’ve moved across and up and down the country over twenty times. As a result, we’ve had the experience of dealing with a voluminous number of real estate agents and attorneys. While most experiences were good, we also had the opportunity to experience the bad and the ugly. Recently, we worked with “Team Carver”, Prudential Realtors, in Henderson, Nevada, regarding the sale of our home. If perfection in the real estate sales profession exists, Team Carver is it! They created a ‘sales nirvana’ for us. John, Leslie and Stefanie are the refined professionals all others should seek to emulate. Thank you for an enjoyable and rewarding experience. We would like to thank, John, Leslie, Stefanie, Desiree and the entire Carver Team for all the work they’ve done to get our upside down house short-sold and into a new home. Making the decision to sell our first home was not easy. We put in sweat and love into that home and raised our two young boys there. Once we were able to put our emotional attachments aside long enough to see things more financially clearer, we turned to Team Carver for their expertise. From our very first phone conversation Leslie addressed our concerns and worries. She reassured us that we were making the right financial decision in short-selling our house. Although, our short-sale only took 7 months (I’ve heard some people taking 2 years!) it felt like forever with more fear of the bank foreclosing on us with each day that passed. Through the entire time Leslie and her team helped to ease our anxiety and answered all our questions. Even with bumps and glitches that took place during those long 7 months, Leslie’s team brought us back into the office to regroup and make adjustments to the game plan. Team Carver always kept us abreast and up to date on any news about the short-sale. It is a wonderful feeling to finally have the burden of and upside down home lifted from our shoulders and Team Carver made it happen! I referred an out of state client with a complex sale to Team Carver. They did an amazing job coordinating this sale. From the initial conversation through the close of escrow their communication, professionalism and knowledge was evident in all aspects of the transaction. Their endless work on the client’s behalf was evident and appreciated by all involved. Pam Starr, a client that recently worked with Stefanie Jablonski of Team Carver, was so happy she made a unsolicited video testimonial. Team Carver is proud to have Stefanie Jablonski as part of the team. Team Carver is very experienced in helping buyers and sellers and has an extensive portfolio of successful closings. If you’re considering buying or selling a home, please contact us. Team Carver can be contacted at 702-436-3615 or www.teamcarver.com. I appreciate all the hard work that you and your team put in, all the information and help that was provided throughout the process was exceptional and accurate, it helped immensely with my peace of mind throughout the process. I just wanted to take the time to thank you for the professional and courteous service you provided me selling my home. I have bought and sold many homes and never have I had a Realtor return my calls and e-mails with answers as prompt as you did. I would like to tell you I would recommend you to anyone looking to buy or sell a home. If I need your assistance in the future to buy or sell , you will be my choice. Thanks again for all your help and making the sale and taking a lot of pressure off of me. You are the best . Thank you so much for all your assistance and guidance. I know it was a long journey and Patrick and I are both so happy we are finally doneJ I know we could not have done it without you! Thank you! Thank you! We appreciate all your help and most of all patience during this process. We are very satisfied with the services from Team Carver. You are very well organized. The communication is great. Francine and I would like to thank you for the stellar performance of you and your team in the execution of our short sale. You exceeded our expectations in all aspects–from the excellent communication of you and your team, to the final result of completing a successful short sale with Bank of America. We were pleased to receive the $3,000 HAFA relocation money, no noticeable effect on our credit score, and doing the short sale in a timely, painless fashion. We highly recommend Leslie Carver and her team to assist anyone that owes more on their mortgage than the current value of their property to perform a short sale. We truly appreciated your assistance with this process. I cannot adequately express how much I’ve appreciated all of Team Carver’s work… Whenever I sit down with a person making a sale, I wonder if what they are promising can really be done. Well, from that first conversation with Leslie, you have MORE THAN delivered. My hat is off to you. Many, many thanks. Two years ago, when Brad got a new job offer we were extremely grateful and excited to move to Southern California. We didn’t realize how difficult it would be to sale our practically brand new home. When everything else failed in our attempts to move on, my friend recommended your office…, ‘If Leslie Carver can’t sell your house, no one can.’ We appreciate everything Team Carver has done and we have already referred your office to one of our friends, with much gratitude. Leslie is the consummate REALTOR® and professional whose success is assured because of her visionary leadership and the ability to help her clients navigate the difficult waters in the greater Las Vegas real estate market. Team Carver has been awesome to work with. Thanks for your personal attention to our short sale from start to finish. You went above and beyond and helped things stay on track with the bank, the attorney, and the title company, on top of all of the issues you were already handling on the realtor side of things. You were kind and quick to respond to our requests and kept us informed throughout the process. You can count on future referrals from us.